Welcome to Foolish Insights. We are the Foolish Couple, Andy and Minna, nutrition coaches and success mentors. We created  the FoCo Academy  to guide  and  mentor people to achieve true health and healthy  relationships through nutrition, exercise, mindset and lifestyle changes. This week we are going to talk about a few health myths. So far we’ve talked about how a 60 year old actually has the same capacity to build muscle mass as a 30 year old, if they have the same levels of nutrition. Yesterday, we confirmed the fact that you really don’t need to eat everyday, 3 meals a day. Both of us has done extended fast for 5 days and not only did we survive, our bodies actually came out thriving as a new fat-burning machine. Today, let’s talk about the history of low fat diet. The pivotal moment is really when Eisenhower had a heart attack in 1955, and he was out of the office for 10 days. The stock market plummeted on that news and it lost 14 billion in one day. This is back in the 1950’s so 14 billion is like a gazillion today. At that time, heart attacks were a rare event and the cardiologists during that time could literally go through their entire career without seeing anyone with a heart attack. So when all of a sudden the president had a heart attack, the world panicked. Eisenhower’s doctor, Paul White, advised him that he had to stop eating butter and eat margarine instead. He had to stop eating red meats and eat dry crackers and bread. Now imagine, at that time people were really trying to understand what caused his heart attack. One professor, Ansel Keys, who was a pathologist at the University of Minnesota, came up with the idea that saturated fat and cholesterol would clog your arteries like hot grease down a cold stove pipe and give you a heart attack and die. And this was called the "diet-heart hypothesis." So that image of an artery slowly building up fat and choking itself off; very much like fat might build up in the pipe under a sink was familiar enough and it made intuitive sense even though now we know that’s not really what happened. A more accurate description would be that it's more like corrosion in a pipe.. You pour caustic materials into your plumbing, the pipe corrodes and it leaks and eventually it bursts and that is what leads to the blood clot because when there's flowing blood that contacts some of the material and the lining of the artery, it triggers a clot. So it's not purely the cholesterol and it truly is not caused by saturated fat at all. The real culprit, now we know, is bad fats including vegetable oil. Vegetable oil, including variations such as corn oil, sunflower oil, safflower oil, and Canola oil has a caustic effect on our arteries because of the way that it interacts with the oxygen and the iron in our blood stream. So unlike saturated fats, which is extremely stable and does not react at all with oxygen or iron, vegetable oils are high in polyunsaturated fats, which are extremely unstable and prone to oxidizing. So that is what really is happening. Unhealthy oils, including vegetable oils, creates this slick, yellow grease lining inside our arteries which can lead to arteriosclerosis. And this whole process of inflammation weakens the artery wall and so that weakening and all that inflammation is what corrodes our pipes. But Ansel Key’s hypothesis actually opened the doors to processed foods which are high in sugars and low in fats. During the 70’s which is when we were kids, we were first exposed to processed foods and low-fat foods, and that’s the type of foods that is causing a lot of our chronic degenerative diseases today. Since the introduction of processed foods, the number of heart attacks grew exponentially over the last 2 decades or so. Cancer, Alzheimer’s, Parkinson’s, all these degenerative diseases were literally unheard of about 60 to 70 years ago and now they are considered normal. At the end of the day it is really about our lifestyles and our eating habits. If we are diligent about eating whole foods, foods that are high in nutrients and in good fats, lower our intake in simple carbohydrates especially the bad ones such as White rice, breads and pasta, we have a real chance at combating these chronic degenerative diseases. And that means, that we will have more money in the bank, because we won’t have to spend 10’s of thousands of dollars in medical treatment, and it also means we’ll have a much better relationship with your loved ones and your family. And it also means that you will be able to enjoy life, to take adventures and to contribute to the community. So, think about it. To be healthy isn’t just about your body. It is about your life, and the life of your family as well. Love this vlog? Share with your friends using the buttons to the side! 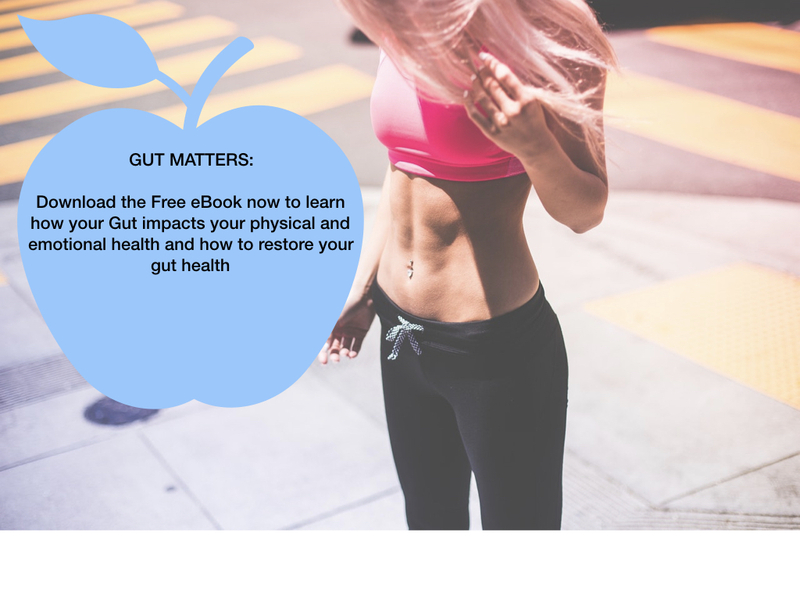 PS: We have a brand new ebook out called ‘Gut Matters’ that goes deeper into the issue of our gut and the action steps that we can take to repair our gut and bring our bodies back to an optimal, healthy state. We know keeping a healthy lifestyle starts with your health. So we designed a free program called ‘Time for health’. In this FREE Video training you will learn five simple strategies to give you clarity to take back control of your health and live life on your terms. So check it out and access it with the link provided.